Possibly inspired by Betjeman's love of England's parish churches, Colin became involved in 'Caring for God's Acre', which started in 1997 as a pilot scheme helping to protect rural churchyards in the Shropshire hills. It was set up as a charitable trust in 2000 covering Shropshire and Herefordshire before extending its remit to England and Wales, with National Lottery funding, in 2008. Colin was instrumental in getting the trust set up as a Charitable Incorporated Organisation (CIO) recognised by the Charity Commissioners as well as helping to set up the trust's website. He served on the trust's finance committee for several years before becoming chairman of the Trustees in 2013. Colin's love of nature stemmed from his early years when, after short spells in the army and the civil service, he moved from London to work for the Forestry Commission in Aberdovey (Aberdyfi), Wales before settling in Shrewsbury and joining the West Mercia police. He became an active member of the Shropshire Woodlands Trust and also of the Shropshire Wildlife Trust, gaining a local name for himself as an expert often interviewed by Radio Shropshire, leading dawn chorus and woodland walks and organising bird and nature surveys. He became Vice-President of the Shropshire Ornithological Society and worked with others between 2007 and 2011 on the production of the 'Atlas of the Birds of Shropshire' and 'The Birds of Shropshire – A County Avifauna', both authoritative and comprehensive publications. He was a member of the British Trust for Ornithology and used to help out at the Rutland Bird fair each year. He also helped to promote CJ Wild Bird Foods Ltd, set up in 1987 by a local farmer, Chris Whittles, at various garden and 'green' trade shows throughout the country, including the Chelsea Flower show and the Hampton Court Garden festival. Colin was sustained throughout his illness by his faith in God. A confirmed member of the Anglican Church, he was a long-serving churchwarden and lay reader for St George's church in Shrewsbury and also led services for the small congregation in the Greenfields United Methodist church which for 10 years was in formal partnership with St George's. Becoming a lay reader involved Colin in several years of study in his spare time to obtain the Bishop's licence; he also joined the Guild of Servers, an ancient guild, which preserves the traditions and values of those who serve the priest and assist during Holy Communion. Colin helped to research and publicise the history of St George's church, a Grade 2 listed building from the Georgian period. With his experience of the Falkland Islands, he was also a valued member of the local branch of the South American Mission Society. Colin first became interested in the Falkland Islands through his study of the early Antarctic explorers and he followed the 1982 conflict closely. He became more deeply involved when he visited the Islands in 1996 and 1998 on two specially organised photographic trips to study the Islands' wildlife. This prompted him to join Falklands Conservation and the FIA. When Sir Rex Hunt stood down as FIA chairman at the December 2004 AGM, Colin offered to serve as FIA Membership Secretary but the incoming chairman, David Tatham, asked him to take on the role of Honorary Secretary instead, which he duly accepted. He subsequently took on the role of Membership Secretary when the incumbent, Ted Clapp, retired from the post in late 2007. As such, Colin was crucial to the success of the Association in its work to support the principle of self-determination for the Islanders. He organised and recorded committee meetings with quiet efficiency and offered his own thoughtful suggestions on the way forward for the Association. He inaugurated a series of articles 'From the Secretary's Desk' in the FIA Newsletter and helped to modernise the FIA website, including introducing a Twitter feed. He also organised a series of events for Association members, such as a dinner on board the SS Great Britain and visits to the National Maritime Museum, RHS Wisley, and the botanical gardens at Kew. Every December, he organised the Battle Day service at the Cenotaph in Whitehall and in December 2014 managed the centenary commemoration of the WW1 naval battles of Coronel and the Falkland Islands in St. Martin-in-the-Fields, which was a great success. 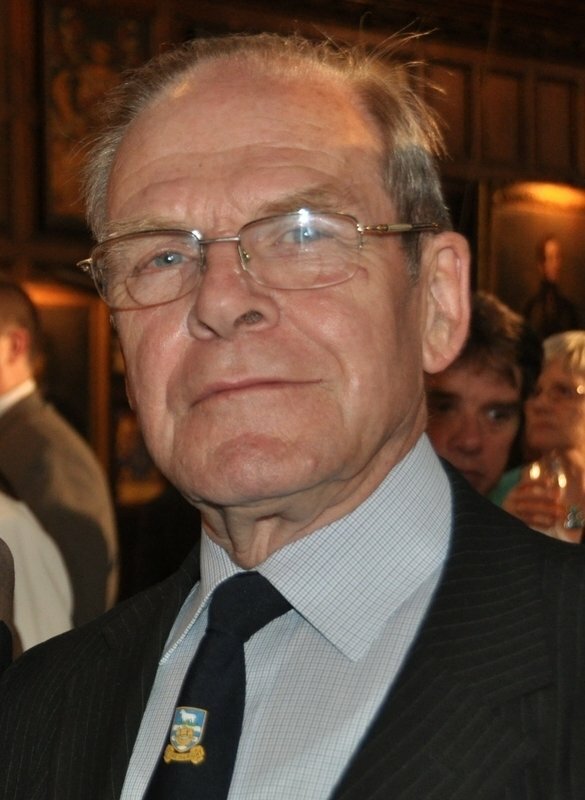 Other highlights of his term of office included the attendance of Baroness Thatcher at the Battle Day ceremony in 2007 and the memorial service at St. Clement Danes for Sir Rex Hunt in 2012. The award of the Queen's Certificate and Badge of Honour, announced on Falkland Day on 14 August 2015, was a public acknowledgement of his quiet, unassuming service over 10 years for the benefit of the people of the Falkland Islands. Colin Wright gave much to this world. We mourn his passing and will remember him with deep fondness, respect and admiration. The Bible (Matthew 25:21) says it all: 'Well done, thou good and faithful servant'.